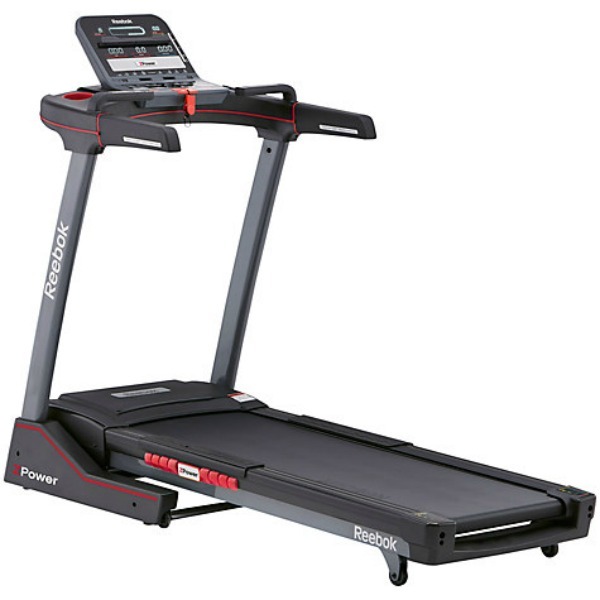 Over the past year or so, there’s been an increasing number of Reebok treadmills available at various retailers with different model numbers. We decided to give the Z-Power model a test to see what it’s like. Assembly of the machine is pretty straightforward and like most machines does require two people to put together easily and safely. 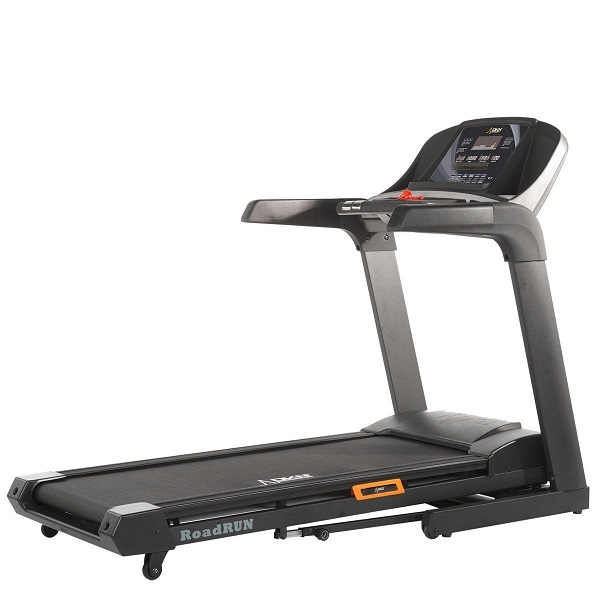 Once put together, it’s clear that this is one nice looking treadmill! The black, grey and red combination works quite well and the machine has a rather modern feel about it. We didn’t spend too long admiring the looks, as we were keen to jump on and see what it’s like as a running machine. The console is very clear and well laid out. So getting started and making initial use of the machine doesn’t require spending time with the instruction manual figuring things out! Our impression with the first run we had was that that the deck has quite good cushioning and a nice feel to it. 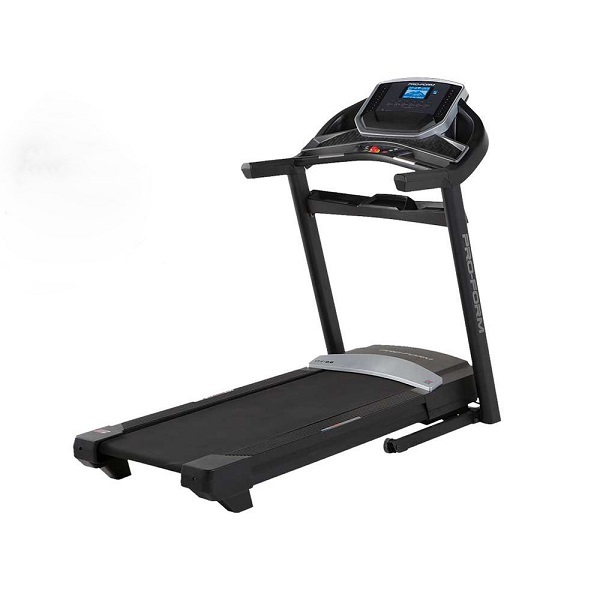 The machine features ‘air motion’ technology to provide the cushioning – we could really see how this worked in reality, but the deck does provide a decent level of cushioning compared to running on the road. There’s enough power to drive the belt all the way to the top speed (which is a very fast 18 kph) without any sign of slippage. One thing that we did notice is that the width of the running deck is a bit narrower than what we’re used to seeing on machines in the mid-priced bracket. This isn’t so much of an issue when jogging on the machine, but it does become noticeable when sprinting at the top speed. The length of the deck is the standard mid-size one of 140cm, which is long enough for all but the very tallest of runners to be able to use without worrying about getting too close to the back of the belt. We were somewhat disappointed with the incline. 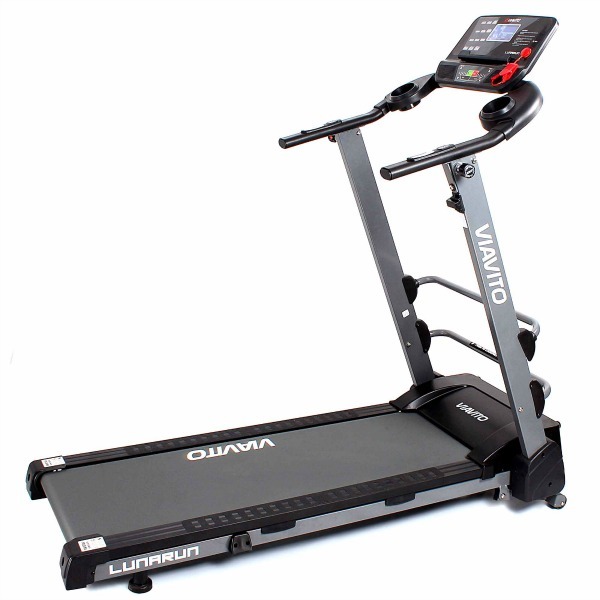 We had hoped that this would really be a 15% max-incline machine, rather than the classic trick of 15 levels. Unfortunately, at maximum incline, the gradient on the deck is around 10%. The console is near and very logically laid out. We really like the dedicated LED windows for all of the essential feedback like speed, distance, incline, exercise time etc. In addition to these, there’s a larger LED segment in the middle which displays a quarter mile track or the profiles of the programmes being selected. It’s simple and provides just the essential information needed without pointless clutter. In terms of controls, the Z-Power ticks all the boxes. There are short cut buttons on the console to for both speed and incline as well as adjustment keys on the handlebars for refinement. There’s no shortage of preset programmes on this machine (24 of them!) and each one can be used for varying duration. As you’d expect, there are some countdown programmes (like target time, distance, calories). Talking about calories: this is a weak point of this machine. There’s no facility to enter a user profile with age / weight / height / gender to get a more personalised calorie consumption estimate. So, the Z Power will count up the same number of calories regardless of the size of the person that’s on it…. Whilst we’d never advocate buying a treadmill on the quality of accessories like fans or speakers, the speakers in this machine are actually quite good and don’t sound really tinny with no bass at all (as we’ve seen on various machines). The fan on the other hand doesn’t provide much cooling. There’s no wireless heart rate receiver on the Z-Power, so the the only way of getting heart rate measurement is using the pulse grip sensors. 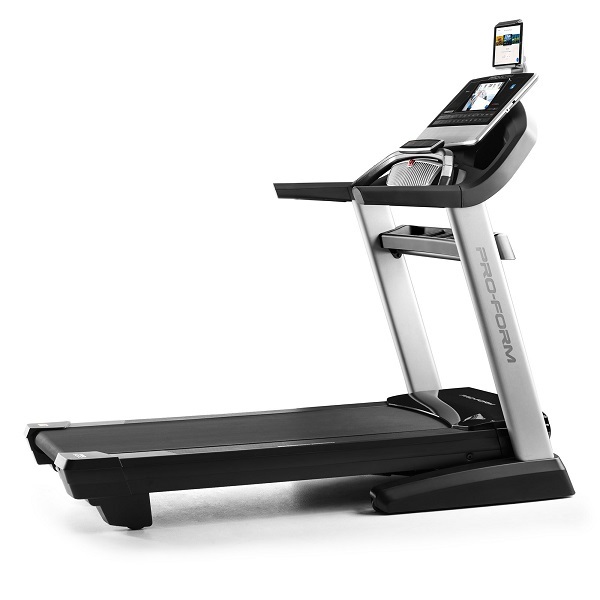 These are never particularly accurate and are difficult to use when actually in middle of a running, so if you want to keep an eye on your heart rate whilst using this treadmill, we’d recommend wearing a fit bit or using a separate heart rate monitor. The deck is folding and there’s hydraulic assist which works well. The machine is quite heavy (which is a good thing for a running machine) and so we wouldn’t recommend trying to move it around too often! The warranty (when bought from John Lewis) has the standard Lifetime on frame and 10 years on the motor, but actually 3 years on the parts! 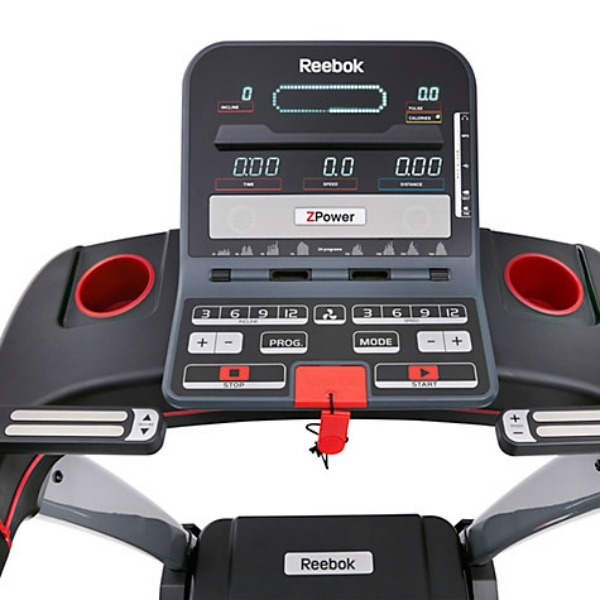 This means that Reebok are pretty confident of the manufacturing quality of this machine! 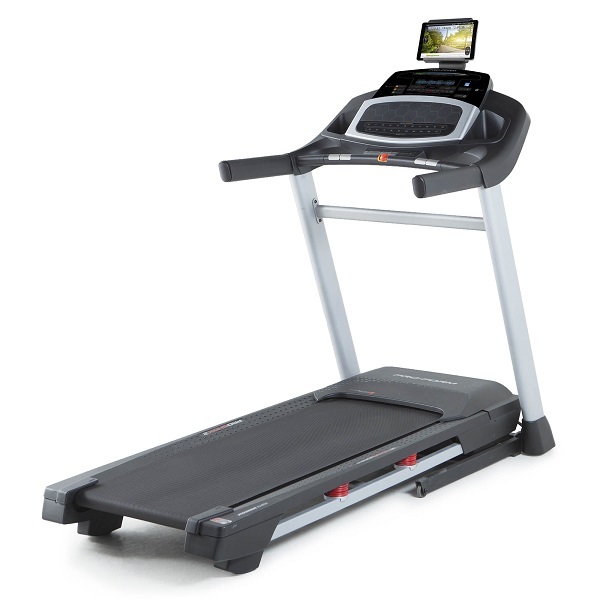 Overall, this is a very nice treadmill and it does what it sets out to do well. The major issue with this machine is the price point. It’s nearly identical in all features other than the warranty and its colours to the well established Reebok Jet 200 which is available at a significantly lower price. 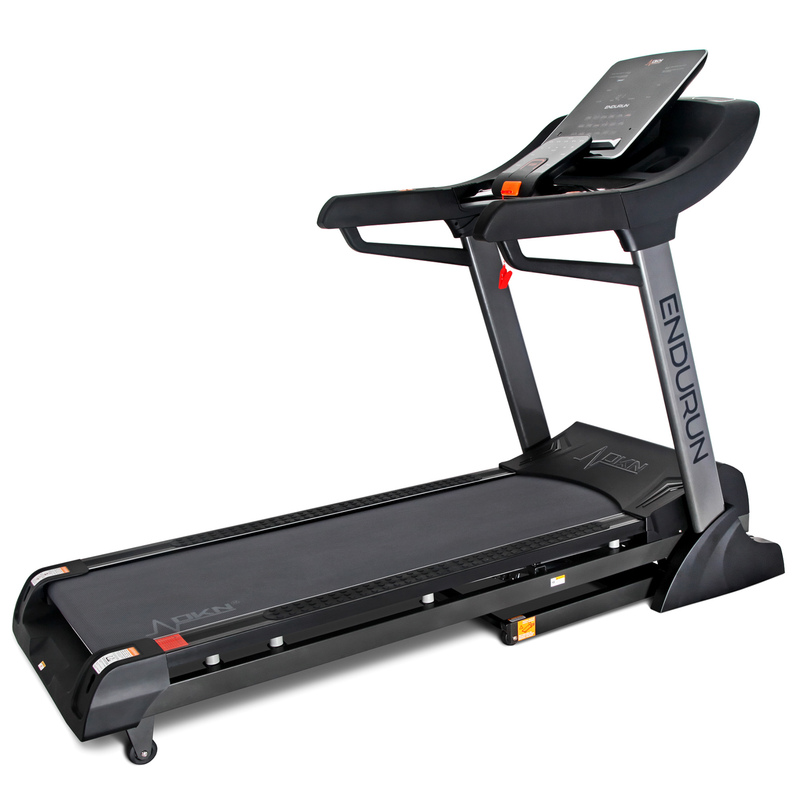 This is a very nice treadmill and it does what it sets out to do well. The major issue with this machine is the price point. 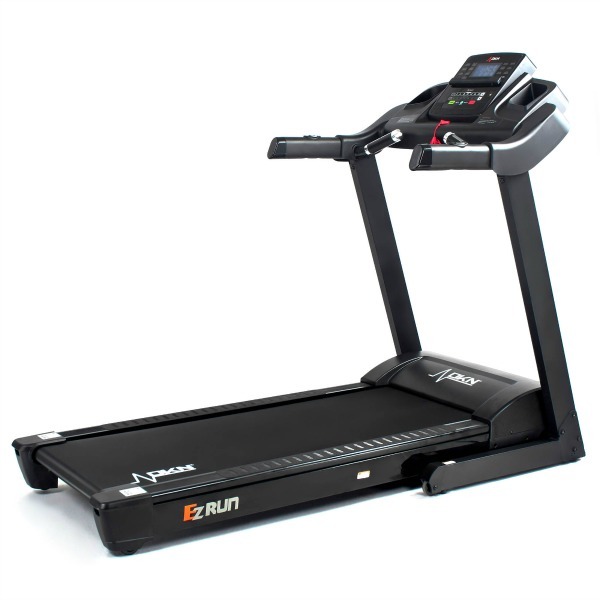 There are much higher spec and better performing machines available in the mid-price segment such as the DKN EzRun.